The Jewish Socialists’ Group welcomes UN Security Council Resolution 2334, which denounces the Israeli government’s “expansion of settlements… confiscation of Palestinian land, demolition of homes and displacement of Palestinian civilians”, within the Occupied Territories including East Jerusalem. Together with Jewish progressives in many countries, including Israel, we also condemn these daily infringements of international law, which undermine the prospects of a just peace. 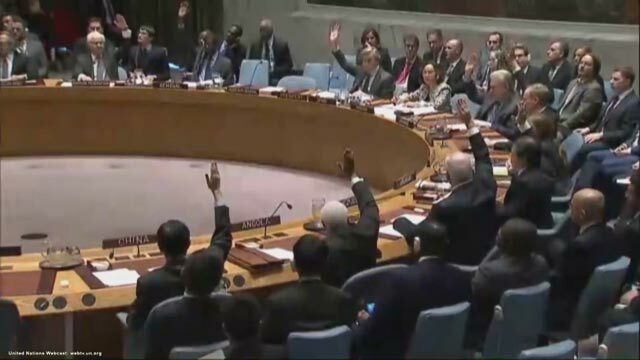 We recognise the importance of the policy shift by which the US, for the moment still under Obama’s presidency, refused to use its veto to stop this resolution passing as it customarily does with Security Council resolutions regarding Israel. We also welcome Senator Kerry’s recognition, in his speech, that Israel’s practice of seizing Palestinian land while denying Palestinian people equal rights cannot continue; that indefinite occupation and democracy are incompatible; that legitimate criticism of Israeli government policies is often dismissed as antisemitic; and that denial of Palestinian rights takes place inside the Green Line too. We support Senator Kerry’s vision of Jerusalem as a capital city for both Palestinians and Israeli Jews and a place of freedom for all who live there. We know there is growing unease among Jewish communities around the world with Netanyahu’s policies. There is similar unease, indeed fear, about the consequences of Donald Trump taking the reins of power in America both because of his strong support for Netanyahu’s ultra-right Zionism and for his friendliness towards white supremacists, Islamophobes and antisemites. Jewish progressives in Israel are angered both by Netanyahu’s repressive and discriminatory policies towards Palestinians, and also his government’s growing witch-hunt against Israeli human rights bodies and anti-Occupation groups. We know that American Jews, who voted by more than 70% against Trump, are not the only Jews beginning to choose sides on these issues. Many British Jews were angered when Jonathan Arkush, the President of the Board of Deputies, rushed to congratulate Trump on winning the presidency. They are angered too that he has expressed full support for Netanyahu, on behalf of the Board of Deputies, in response to the Security Council resolution. Netanyahu has chosen to put himself on a collision course with international opinion and with all who support human rights and dignity. Trump has already done that in his presidential campaign. They are both on a collision course with the sentiments and values of many Jews. The UN Security Council resolution and Netanyahu’s petulant reaction to it have made it clearer and easier for us to argue that opposition to Israeli government policy is not antisemitism. This situation presents opportunities for Jewish progressives. We call upon all Jews who are opposed to Israel’s occupation and daily acts of repression, who want to see an end to the settlements, and who want to stand up to racism including antisemitism and Islamophobia, to cooperate with each other and unite in action, to enable a progressive Jewish voice to be heard more loudly and clearly. The greater the unity we can forge, the greater will be our impact. 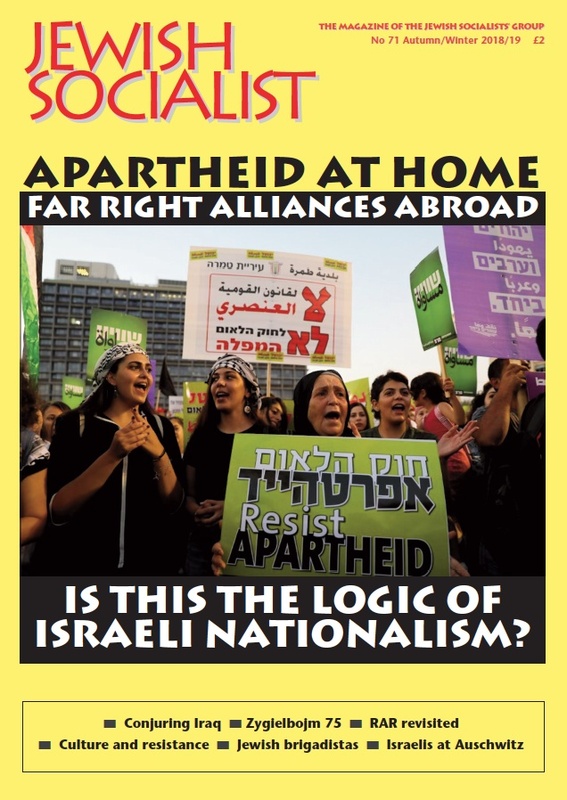 Whether we define ourselves as anti-Zionists, non-Zionists or Left-Zionists; whether we believe in a single or two-state solution, all Jews who are anti-racists, and who believe in a future of equal rights for the people of Palestine and Israel can surely unite in opposition to Trump and Netanyahu and their local helpers and supporters. We can do this through joint initiatives such as statements, petitions, boycotts, protests or demonstrations. The time for that unity of purpose and unity in action is now. And we can look for support in this work from others beyond our community who share these principles. It is also a moment when we can talk to ordinary members of the community, who are not politically committed, and encourage them to see the possibility of a different future for Israelis and Palestinians and to take an active part in helping that come about.